This is an area of dentistry that focuses on dealing with cavities and tooth decay. It is usually directly linked to cosmetic dentistry. But before we discuss anything else, it is important that we explain what a cavity is. What is and what causes a Dental Cavity? A dental cavity is a condition that occurs at oral level and has various stages of severity. In one, the decay only reaches the layers of enamel and dentin. Treatment is simple and involves eliminating the affected area and any post reconstruction necessary. At a second stage the cavity reaches the dental pulp becoming much more serious. Here the best option is to devitalize the tooth, a process more commonly referred to as route canal, after which a total reconstruction of the tooth takes place. 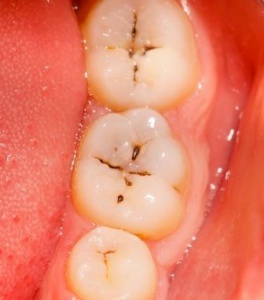 For a cavity to reach this second stage there will be extra contributing factors. Namely the sugars in food are to blame hence the need for proper oral hygiene. The best way to prevent cavities is through good oral hygiene, combining dental flossing, tooth brushing and fluorine. This is the best prevention method but there are other ways such as decreasing the intake of sugars and regular visits to your dentist. However if a cavity has occurred then please consult your dentist to get the devitalisation and reconstruction process started. This will better your overall oral health. Dental reconstruction is not the only way to improve your looks and your mood. Regular oral hygiene and teeth whitening can also make you feel well and boost your confidence. Teeth whitening can do far more than revitalise your smile – it can revitalise your self-image, your mannerisms and the impression that you make on others. Your teeth are in constant contact with agents that will darken them and destroy the enamel. To avoid this issue you can whiten your teeth. The teeth whitening process gives you back your original dental color by eliminating the dyes and toxic substances deposited in your teeth. This treatment can be done on healthy or devitalized teeth. Book your consultation today. Contact Us.